Attack the Tirpitz!! In a Halifax?? The Halifax was the second British four-engined bomber to enter service in World War Two but it became the first to bomb Germany during a raid on Hamburg on the night of March 12th-13th 1941. 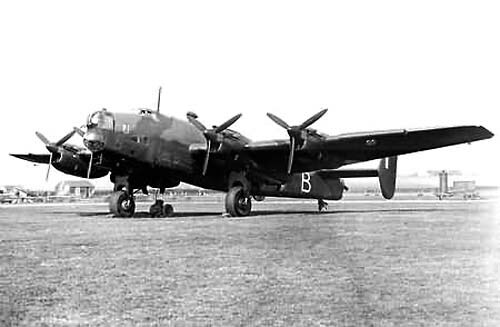 Subsequent increasing losses on operations over Germany caused Halifax bombers to be used on less hazardous targets from September 1943. The Halifax made over 75,000 bombing sorties and dropped almost a quarter of a million tons of bombs on Germany. The Halifax continued in service with Coastal and Transport Commands after the war and the last operational flight was made by a Coastal Command aircraft in March 1952 from Gibraltar. On April 9th 1942, six aircraft from 102 Squadron were exchanged with six aircraft from 35 Squadron because they were fitted with Gee radio navigation aid and could not be risked on a raid beyond the range of Gee stations W1048 now became “TL-S” of 35 Squadron. On April 15th the aircraft was taken on a training flight around Filey Bay followed by some low level practice bombing at Strenshall. Just over a week later, it flew with ten other Halifaxes to RAF Kinloss in Scotland as an advance base for the raid on the German battleship, the Tirpitz. The crew was Pilot Officer Don P MacIntyre who was 24 years old and came from Canada. The busy bee in the crew was Pilot Officer Ian Hewitt who was the observer, bomb aimer and navigator. He later won a DFC. After the war, he moved to quieter pursuits and became a chartered accountant, dying peacefully at home in bed in June 2015, aged 94. The mid upper gunner was another Canadian, Sergeant Pierre Blanchet. The tail gunner was Sergeant Ron Wilson who in later life was to become a London cabby. The aircraft was carrying four spherical mines of the Royal Navy type 19N. They each weighed a ton and their shape and size meant that the the bomb doors could not be closed. The cunning plan was to roll the four mines down the steep mountainside into the gap between the ship and the shore. They would then sink the ship because the underside was thinner and therefore more vulnerable. At half past midnight, the eighth aircraft to attack, Don McIntyre followed by his friend Reg Lane set off to release their mines. McIntyre was first. As they had arranged, they descended to 200 feet but “DY-S” was hit by flak and too badly damaged to get back to Yorkshire or even to Sweden. They were forced to land on the frozen surface of Lake Hoklingen, twenty five miles east of Trondheim. Vic Stevens broke his ankle and was eventually taken to hospital by the Germans. The other six came into contact with the Ling, the Norwegian underground and were helped to Sweden. Ian Hewitt and Don McIntyre returned to England after a few weeks, and Dave Perry, Pierre Blanchet and Ron Wilson after a year. By this time Ron Wilson had rented a flat, found a job and made a start on a new life. The poor old Halifax sank through the ice in the southern corner of the lake just twelve hours after the crash. In 1971 the remains were found by local divers and in September 1972 by the RAF Sub Aqua Club. Everything was still there except for the starboard outer engine and one or two bits and pieces taken by souvenir hunters in the past. Here is a photograph which is admittedly very similar to one of the others. I am quite proud of it, though, because my Idiots’ Guide to Photoshop has enabled me to turn a pretty well completely black picture into something understandable. Slight tinges of red are apparently the chemical which inhibits any further deterioration in the fresh air. Do they make that for humans? 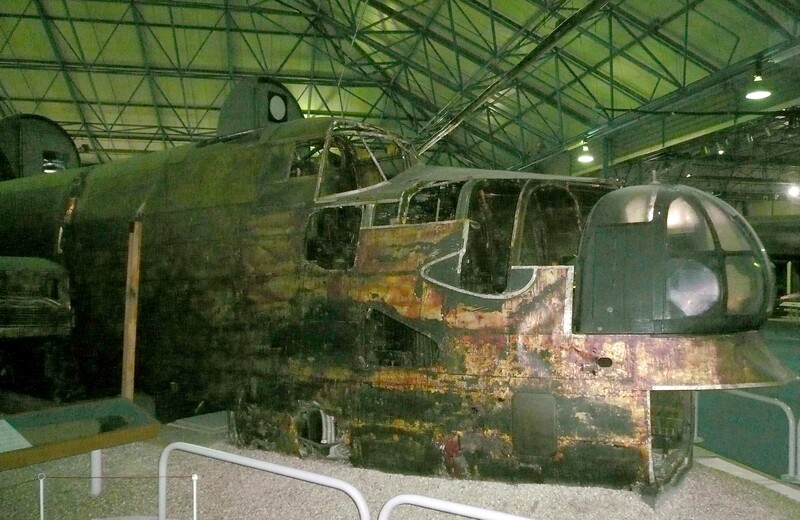 By the end of June 1973, the Halifax had been retrieved from the lake, and after a lot of restoration, it was ready for the public by the end of 1982. 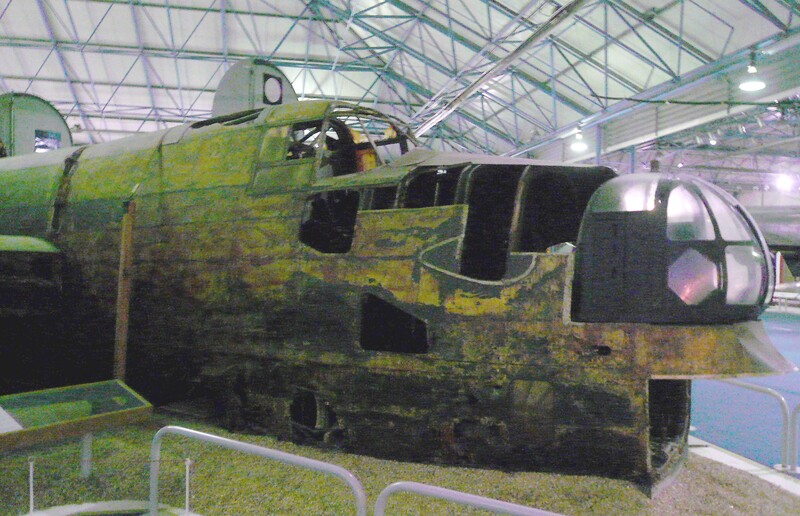 Apparently a second Halifax from the same squadron and the same operation was discovered at the bottom of a nearby fjord in 2014. This exciting discovery was made by the Marine Technology Centre from the Norwegian University of Science and Technology in Trondheim. The wreckage is around 600 feet down, and is thought to be W7656 and to contain the remains of Sergeants Evans and Columbine, the wireless operator/gunner and the navigator respectively. 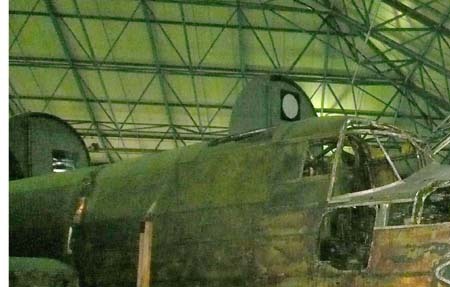 I do not know if this will make any difference to plans to raise the aircraft and to restore it. Fascinating post John. There were no less than 26 Allied raids on the DKM Tirpitz, ending on 12 November 1944 with a force of 32 Lancasters from No.s 9 and 617 squadron in Tromsø. She Capsized after 3 direct hits and 2 near misses. Between 950 and 1,204 sailors were killed. It really shows the ingenuity of the British that they used mines on this Halifax with the objective of rolling them down the mountainside! – perhaps it could have worked – everyone thought that Barnes Wallace was crazy until the successful attacks on the Ruhr valley and the villages in the Eder valley. I have always regretted the deaths of those 1,204 German sailors and indeed, of the young men of the RAF who were sent to drop the bombs that sank the Tirpitz. I suppose that that is hindsight talking though. On November 12th 1944 nobody would have realised that the Tirpitz was going to be pretty much an irrelevance for the rest of the war. I wonder what would have happened though if the Germans had had the aircraft carriers necessary to protect it? Hitler didn’t understand the significance of maritime power. The Graf Zeppelin was 85% complete by the end of the war. Her fighters, the Messerschmitt Bf 109Ts were issued to several training units in 1943. Then, in April 1943 the Jagdstaffel Helgoland was formed and operated from Düne until late 1943 when the unit transferred to Lista in south Norway. The unit was renamed as 11./JG 11 as of 30 November 1943 and the Bf 109Ts remained on operations until the summer of 1944. I imagine if there had been a carrier group that the fate of the Tirpitz would have been quite different. Thanks a lot for that link. I too had an Airfix Halifax all those years ago, although I don’t remember ever having a Stirling or a B-17. I do remember the appearance of the AIrfix B-29 though. My Mum just adored having a kit with a wingspan of 36 inches or so knocking round my bedroom. . I spent an afternoon hanging them all from the ceiling using thread and drawing pins. I got into a spot of trouble about that! Desperation Derrick. You should have seen the original photos. The proverbial black cat in a dark room at midnight! 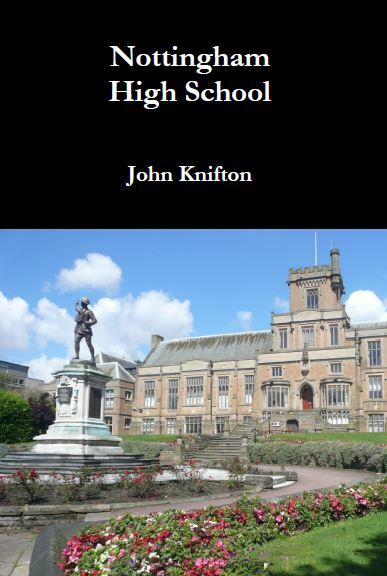 John, in your opinion, should it raised? Yes, I think it should. Not so much for the fact that it might be possible to restore it but because it may contain the remains of Sergeants Evans and Columbine which I believe should be retrieved and given a proper Christian burial in the town or city where they used to live. Thank you. There are always such questions regarding whether or not to allow it to remain. Thanks very much Pierre. You are very kind. BLANCHET, Sergeant Joseph Pierre Gaston (R56057) – Distinguished Flying Medal – No.35 Squadron – Award effective 11 May 1943 as per London Gazette dated 25 May 1943 and AFRO 1294/43 dated 9 July 1943. Born 27 June 1918 in St.Augustine, Quebec; home in Trois Rivieres, Quebec (bank clerk); enlisted there 17 April 1940. To No.1 ITS, 29 April 1940; graduated and promoted LAC, 23 May 1940; to No.1 WS that date; may have graduated 20 October 1940 but not posted to No.2 BGS until 27 October 1940; graduated and promoted Sergeant, 14 December 1940. To Halifax that date. To Eastern Air Command, 5 February 1941. To Embarkation Depot, 24 January 1941. To RAF overseas, 2 March 1941. To No.35 Squadron, 24 September 1941; promoted Flight Sergeant, 1 December 1941; first sortie was 15/16 January 1942; last sortie was 27/28 April 1942. Promoted WO2, 1 November 1942. Repatriated 31 July 1943. To No.10 EFTS, date uncertain but almost immediately after repatriation. To be Officer Cadet, 28 September 1943. Placed in Administration Branch, 30 September 1943; commissioned that date with simultaneous promotion to Flying Officer. To Recruiting Centre, Montreal, 28 October 1943. To No.3 Air Gunner Training School, 14 January 1944. To No.8 AOS, 14 November 1944. To Lachine, 12 April 1945. To Release Centre, 23 June 1945. Retired 27 June 1945. Award presented 24 April 1944. Cited with Sergeant R.H.D. Wilson (RAF, awarded DFM). Sergeants Blanchet and Wilson have displayed high qualities of courage and fortitude in air operations. Their exemplary conduct has been worthy of the highest praise. Public Record Office WO 208/3312 has MI.9 evasion report of both Blanchett and Wilson based on interview of 10 April 1943. They had left Stockholm on 8 April 1943, arriving Leuchars 9 April 1943. Our craft was hit by light flak over Trondheim while we were bombing the Tirpitz and we crashed on a lake about 0050 hours, 28 April 1942. The other members of the crew were: P/O MacIntyre (S/P.G. -746) P/O Hewitt (S/P.G. – 747) Sergeant Penny (S/P.G. – 1132) Sergeant Stevens (left injured in Norway). The whole crew continued together after landing, as described in P/O MacIntyre?s ad P/O Hewitt?s report. P/O McIntyre, our captain, decided about 1800 hours that we should split up into two groups. He went with F/O Hewitt and Sergeant Perry, and we went with Sergeant Stevens who had broken the arch of his foot in landing. We were near Levanger when we split. After leaving thr others, our party continued walking across country. We had many fences to climb, and Sergeant Stevens fainted several times. His foot was badly swoolen and a bone was sticking out. Eventually, on 29 April, we left Sergeant Stevens, at his own request, at a farm house about 15 miles from Levanger, where the people, who spoke English, promised to get him a doctor. We left him 150 kroner, half our rations, a compass and a map. We then continued east to a frozen lake which we crossed three days after we had crashed (31 April) [sic]. On the day we left Sergeant Stevens we were almost caught by a party of about 25 Germans, who searched a house near the one where we were being sheltered. We left the house at once and got away through the woods. We made east after crossing the frozen lake, to another large lake across the frontier in Sweden. We crossed the frontier about six days after we had crashed, at a point about ten miles north of Storlien. We got considerable help on the way from the Norwegians, and about two days before we reached the frontier we got food and shelter at a shack, where the people also supplied us with maps and a compass and showed us a route to the border. We gave ourselves up after crossing the frontier and were taken to Storlien (one night in prison) and Ostersund (two days). We were then interned from 5 May to 5 April 1943 in Falun camp. We had not been advised at briefing to tell the Swedish authorities that we had been in German hands in Norway, and were indeed told that the Swedes, being very pro-British, would repatriate us immediately. A Swedish corporal also told us that if we said we had not been in German hands we would have been repatriated at once. His idea was that if we said we had escaped from German hands, we would be sent to Germany. Thank you Pierre for that amazing story. It makes me feel very humble to read what those men did. People must have been much more courageous in those days and certainly a lot more prepared for self sacrifice for the good of the cause. 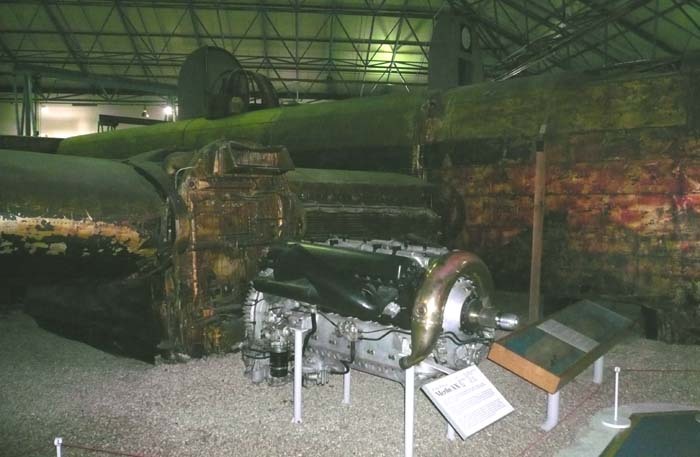 It’s certainly a ghostly example and the light at Hendon exaggerates that too. It’s a fascinating story John, and to think mines being rolled down hills, how bizarre! Nice to know the story behind the aircraft John. I think rolling mines down hills is a great idea! It certainly beats that bizarre event in the West Country where they roll whole cheeses down a steep slope as some kind of traditional sport. That is rather a cheesy way to spend your Sunday! Sorry had to be done! Very interesting. The Halifax sadly never achieved the same kudos as the Lancaster. Whenever Bomber Command’s campaign is mentioned the Lancaster is always top of the bill. You’re absolutely right there. There are lots of arguments still about the relative merits of the two aircraft. but I don’t suppose that they’ll ever be settled. Halifax crew were always very loyal to their aircraft but I think the clue is that many Halifaxes were used as transport aircraft. When the decision was taken to send bombers to bomb Japan as part of ‘Tiger Force’ in 1945 it was Lancasters they decided to send, presumably as our best bomber to show off to the Americans. I remember Nevil Shute from years ago. He was a very popular author in his day. I’m glad you enjoyed the post! I’ve got a soft spot for Halifaxes. When I was a teenager, a friend knew a gentleman who had flown in them during the War and been shot down becoming a POW. He survived the war and wrote a book which I read. Thanks a lot for that. Halifaxes were certainly always very popular with their crews. They had better survival rates than Lancasters because when the crew were ordered to bale out, the exit hatch on a Halifax was just a little bigger and easier to get through. The Halifax always seems to have been seen as second best to the Lancaster, but it was a superstar compared to some of the planes we sent out. Nevil Shute, apart from being a good writer was an aeronautical engineer who worked under Barnes Wallis and founded the Airspeed company. I didn’t realise that he had any connection with aeronautics. You are quite right about the Halifax. A lot of their crews would swear by it, perhaps because of its bigger escape hatch. On the other hand it was by no means unusual for Lancaster crews at briefings to cheer when it was announced that they would be accompanied by Halifaxes, with even louder cheers for the Stirling. Both types flew slower and lower and were frequently the Luftwaffe’s target of choice. 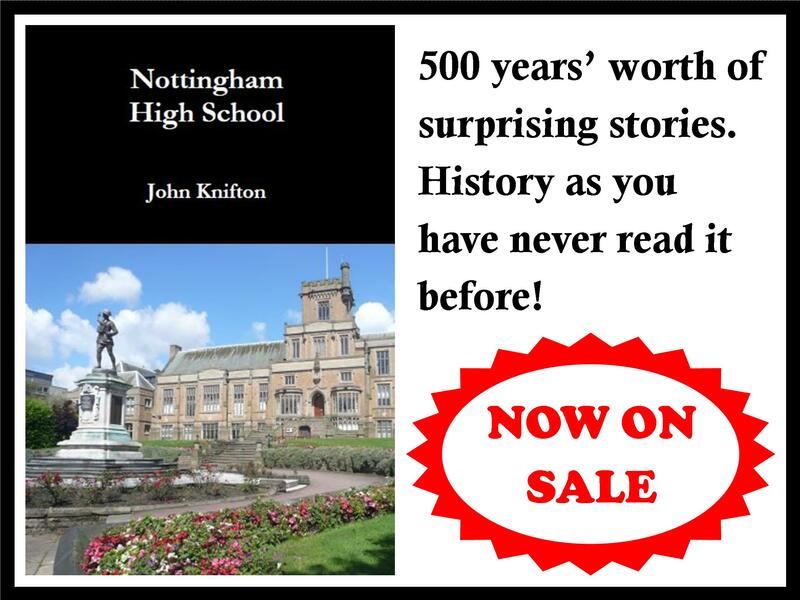 Not as bad though, as you rightly pointed out, as the Whitley, the Hampden, the Blenheim and the Battle. I was just looking up the aircraft used in the first 1,000 bomber raid in May 1942. It was a surprise to see the aircraft types – very different from the picture in my mind.